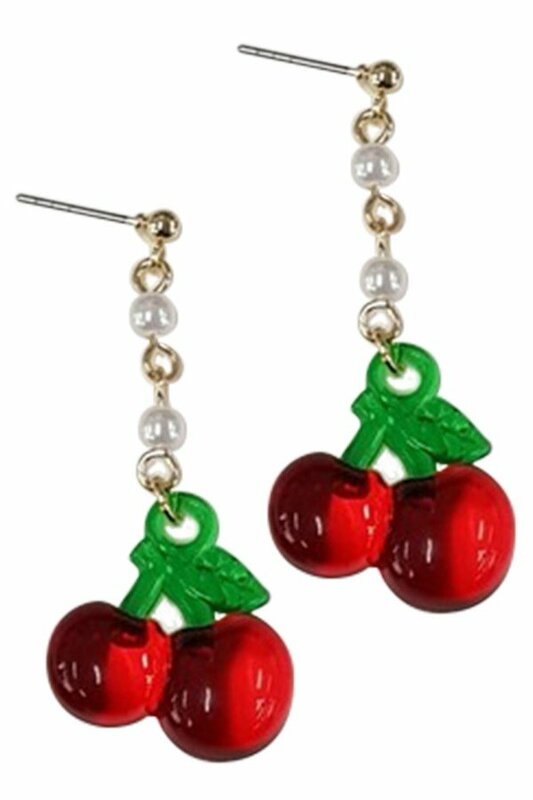 Description: Acrylic cherry drop earrings on a pearl accented strand. Approx. length 1.75".